Olympus PEN E-PM1 ,Olympus M.Zuiko Digital 40-150mm f4.0-5.6 R, Best at original size. 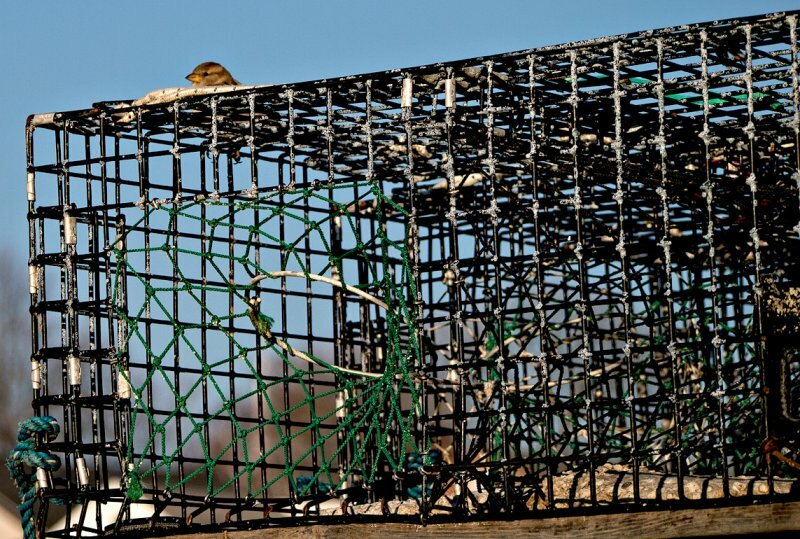 Great shot of this lobster pot. I like the angle, depth of field and focus. The bird is a nice bonus. I've never gotten one this good of a lobster pot. Time to try again. "V"